I've been thinking a lot about the nature of Happiness....real Happiness. Not the fleeting happiness that comes from achieving a desire. Now, I am ALL FOR achieving your desires and getting what you want...for all of us. But I'm a realist as well as an optimist. Life isn't about waving a magic wand...and Nam Myoho Renge Kyo is not a magic wand. it is much deeper than that...when you chant consistently you will attain a state of happiness that is long lasting NO MATTER WHAT HAPPENS. What is Real Happiness? Please respond! I am interested in knowing what Happiness means to you. We all know that the momentary gain of something we desire can bring momentary happiness...but we all also know that there is a deeper, richer happiness that we practitioners of Nichiren Daishonin's Buddhism possess. I am interested to know how you describe Happiness. For me, it is knowing that no matter what happens I can draw the strength I need from my life to overcome any suffering. I also recognize - more and more - that the cause of my unhappiness or happiness exists within a single thought in my head. Sometimes my thoughts seem to be attacking me...other times they are calm and quiet, and I experience true peace of mind. Happiness for me seems to be knowing when those voices come (you know what I mean, the ones that say "why did you do that? You should have _______" fill in the blank. They are the voices that don't respect my Buddha Nature. In the last week I had a few days of not being able to sleep because I made a decision and immediately had negative functions arise in my thoughts...just yelling at me. Finally, after enough sleep and calm chanting I was able to back those voices down and say "enough - you voices are not real! What is real is my true self." and I began again to chant to PRAISE MY LIFE!!! It seems that suffering comes, in part from the feelings I get when I am not praising my life. Chanting to PRAISE YOUR LIFE is a deep, deep, prayer. It truly is the type of prayer that alleviates ALL suffering! Please let me know your results and your thoughts!! I have always embraced this extraordinary philosophy since I was born, never letting go even for a single moment. I have always held tightly onto the promise of the great Buddhist sages that came before us – Shakaymuni Buddha, Nichiren Daishonin and Daisaku Ikeda – That ultimate happiness for the world and for oneself is ours for the taking and is etched in the very fabric of our life itself. We need not look very far for it, the treasures of this life stem from our heart. Nichiren Daishonin wrote to one of his followers that, “A blue fly, if it clings to the tail of a thoroughbred horse, can travel ten thousand miles, and the green ivy that twines around the tall pine can grow to a thousand feet.” Nam Myoho Renge Kyo is a towering stallion of the spiritual world that takes you wherever your heart desires. It was the start of the financial crisis in late 2008, I just graduated from Stanford University and due to a host of seemingly coincidental reasons my life led me to the Middle East in Dubai working for a fast growing internet start-up. At the time I was 21. Truthfully, I never heard of Dubai or even knew where it was on a map. I had no connections or ties to the Middle East and never once considered living there. But having grown up in this faith and through timeless experience after experience, I began to learn that whenever I believe – so as long as I believed and trusted in myself and my prayers – as Daisaku Ikeda assures, we will absolutely NEVER fail. Without friends or family, and only two suit cases as my possessions I boarded the plane to Dubai direct from Chicago. The first 6 months of my time in Dubai were difficult beyond belief. Without a doubt it was the single harshest period of my life - one that was overwhelmed with deep negativity and profound misfortune. Every day I woke up with the hope that the day would soon come to an end. In the isolation of being alone, across the world from all family and friends with no financial support, I chanted deeply for answers and for a new way forward. My circumstances were truly abysmal. But Buddhists never lose. We only taste defeat so that the juice of victory can be enjoyed that much more. I believed this with my heart and chanted profusely to understand the depths of my suffering. Within my suffering, I came to deeply appreciate my circumstances. For the first time in my life, despite my circumstances, I established a deep sense of happiness and gratitude and realized that so as long as I am a victim to my circumstances, I am a victim of life. In the end, through a series of mystic connections I ended up getting the exact job of my dreams down to the minutest detail. I truly feel from my core that the exact place where I am is the training grounds for my future success. While greatness comes with great turmoil, I do not want to spread the story of my suffering. Rather, I want to focus on the incredible truth and immense fortune that comes with practicing this philosophy in the true spirit of mentor- disciple. Since overcoming the initial difficulties, I have managed to manifest every one of my wildest dreams including the greatest highlight: Traveling to a total of 31 countries, none of which were visited for work related purposes. These included: Australia, Cambodia, Israel, Vietnam, Thailand, Japan, Nepal, India, Lebanon, Qatar, Bahrain, Azerbaijan, Spain, Greece, Germany, Netherlands, France, Belgium, Sri Lanka, Uganda, Oman, Egypt, China, England, Turkey, Bethlehem (West Bank), Italy, Croatia, Austria, Hungary, and Czech Republic. I never imaged or expected these blessings to come to me the way they have or in the form that they did. But I had great faith that as long as I clung to the thoroughbred of Nam Myoho Renge Kyo, I would be taken on the wildest ride I could ever imagine. I feel now deeply moved to live for the true depth and fundamental aspect of life – That of living for the welfare and posterity of people. In November 2010, I began chanting for my true mission and my mother soon sent me a passage from my life mentor, Daisaku Ikeda. In the book, Daisaku Ikeda and Voices for Peace from Africa , Ikeda states, "The founding president of the Soka Gakkai, Tsunesaburo Makiguchi, struggled against the forces of Japanese militarism during world war II, dying in prison as a result. One of his strongly held beliefs was that, when faced with a deadlock, we must return to our original point of departure. Contemporary civilization is clearly at an impasse. What is the point of origin to which we can most profitably return? It is, I am convinced, the rich and fecund spirit of humanism that lives in the great mother earth of Africa, the cradle of human-kind.” Based upon this single paragraph, I chanted wholeheartedly to be able to fulfill this vision by returning to the original departure from which all humanity was born: Mother Africa. Soon after chanting, doors flew open with stunning force. Soon, I will be moving to Uganda to lead a project with an extraordinary group of people. I will lead the development of a 150 acre master plan sponsored and funded by investors and 45 members of the Ugandan Parliament to build a premiere graduate university dedicated to creating thousands of jobs in Uganda and indeed East Africa. I will give my all for this country and indeed the continent. I will spread the seed of this great Buddhism with everything I have in me. It is not enough to simply chant Nam Myoho Renge Kyo without regard to the fundamental spirit of this Buddhism - without regard to the reason why Buddhism came to being in the first place. That is why our mentor in faith, Daisaku Ikeda, spends himself exhaustingly to develop our understanding of this original purpose. His words are like a lighthouse in a dark night. With so many ways to advance in life, he assures that if we diligently enact the wisdom of the Lotus Sutra with all our might, we are promised not only the manifest treasures but the more worthy and noble inconspicuous ones. Daisaku Ikeda states that, “If we cherish the spirit to repay our debt of gratitude in the depths of our hearts, then our good fortune will increase by leaps and bounds. No matter how much action people might seem to be taking outwardly, if they lack the spirit to repay their debt of gratitude, their arrogance will destroy their good fortune." Gratitude for those who have enabled us to see clearly and to our faith allows us to reach the highest mountains of good and in turn will lead to our greatest possible life victory. Bright Lights Big City! New York was a blast last weekend. I still can't believe I went. I made wonderful new friends...the picture here is of the Soul Sisters! I really wish I'd taken more pictures of all my new friends! All of us have such important dreams and missions to fulfill. Our books are changing the world! I passed out my new card to everyone. Welcome if you're one of my new friends! Please read some of the posts at the left of the blog. And I'll be posting more for newcomers! Gohonzon Conferral! The Ali's have joined the amazing group of people known as the Soka Gakkai! They have their Gohonzon. Here are members from the our District right outside of Illinois. We represent many different countries...Trinidad, Taiwan, China, India, Ireland, America, Japan! We are the United Nations of seekers of Happiness! And those of you who know about this practice know about "renge" the simultaneity of cause and effect." Once you make the cause...the effect is already there. Chant for your Happiness, and you may not see it today...you might not see it tomorrow morning but you WILL see it. This was a big week for me. I was a little under the weather when I got back from New York...then suddenly I felt a lot better and wrote my book proposal for 8 solid hours. I submitted it to my editor and she said this needs a lot of work!! I have to change tenses and begin again in a new format...but I am undaunted. I am not giving up. I keep thinking about all those people who will one day be standing in their local Barnes and Noble and say "What is this?" And they will pick up the Book: Chant Your Way to Happiness, 30 days to a Brand New You! and they will think "Hmmmmm maybe I should at least give it a try...what would thirty days hurt? And I think back to my days at the Bay Guardian Newspaper...where my name was in the paper every week...and I would get those calls saying "Is this the same Jamie Lee Silver who told me about Chanting Nam Myoho Renge Kyo?" When I responded affirmatively they'd say "Oh my goodness let me tell you how my life has changed for the better since you told me about this practice"...then I'd listen with tears running down my cheeks thinking "I helped someone change their life, their karma, the lives of their children." And I know it's not ME. Not ME who changed their lives. They are the ones who had the courage to chant. "A sword will be useless in the hands of a coward." says the Gosho. But I TOLD them about it...I planted the seed! I see this book being passed from person to person. "You've GOT to read this! Just try it!" I see Gakkai members buying it en masse for their friends. I know the time is now. How fast can I finish it? How fast can I get the book proposal out, while taking on new responsibilities at the job that pays my rent? Are there other ways I can earn additional money?...all these questions are in my mind. and quickly acquire the body of a buddha?" In other words: use my life to help others become HAPPY!!!! This is my mission in life. I HAVE the secret to end suffering and create happiness in my life. I discovered this secret so that I could help others. This is my mission...my joy...and my honor! Now I have to help more and more and more and more people! When I sit down and chant I think about YOU! How can I help my blog readers realize their goals and be happy? What words can I offer them that will lead them back in front of the Gohonzon to NOT GIVE UP! ONE MORE TIME!!! How can I live my life as an example that this practice works? I suggest YOU chant the same way. CHANT TO SEE THE RESULT YOU NEED THAT WILL INSPIRE YOU THE MOST!!!! TELL THE GOHONZON (YOUR LIFE ITSELF) THAT YOU MUST HAVE THE RESULT YOU WANT...and KEEP CHANTING UNTIL YOU GET IT! Chant to have the strength of spirit to forge on no matter what...just like Daisaku Ikeda has done and is still doing at the age of 84!!!! Stay close to the life flow of faith...your fellow members! And share your progress with me...after all you may end up in a book!!! Woohooo!!! Go YOU!!! Well, I have to agree with the other comment. It's a great idea for a book, and the world needs more books on this subject. It was just a passing reference, but I instantly understood in far more detail than the book went into. I simply intuited a great deal about the practice - and then researched afterwards to confirm that I was right. And this happened at precisely the right moment in my life too. But it was all rather serendipitous. More books actually devoted to the subject will allow more people to find the practice more simply and directly. How cool is that? I'd also add that you are the perfect candidate to write such a book. The real joy and enthusiasm you bring to this blog has proven to be a great encouragement to me throughout what are proving to be difficult times. On occasion, I have checked your blog and found you have written precisely what I needed to read at exactly the moment I needed to read it - and it has kept me going. So thank you for that. And I hope you can bring the level of inspiration you have to me to as many people as possible through your writing, both on this blog and in your books(s). I wish you nothing but success with this enterprise. Look at the Comment I just got! "Great idea for a book and I even love the suggested title!! We need more books on this Buddhism out there for those who are searching. Best of luck to you." 30 days to a brand new you! You readers are amazing! Thank you so much for the support and encouragement! I have been writing the book proposal for six hours tonight, and that encouragement could not have come at a better time! Thank you! Keep your comments coming. I also got a request about how to stop smoking. Several members in my district have successfully stopped smoking. I'll ask them what worked for them and get back to you. It's way past my bed time right now....but I'm so excited about making my dreams come true...and helping people find this practice through my books! Night Night! My Dreams are COMING TRUE! and so can YOURS!!! 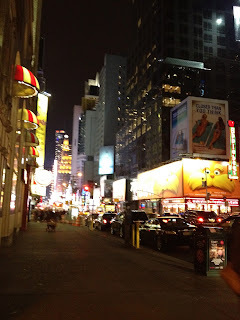 I just got back from the Writer's Digest Writer's Conference in New York City. Some of you know that it has been my dream to publish many best selling books about this incredible form of Buddhism. I envision my life as a sought-after speaker on this topic...and being able to reach people who really want to hear this message. I want to teach people how to chant, help them connect with the SGI, and help them become happier than they ever dreamed possible! You may remember that it took me until I was 25 to find this practice, and that I searched for it everywhere until I found it. I KNEW a solution to my problems HAD to exist! And it does! My dream is to reach everyone who is suffering...everyone who has not yet found a solution to their problems...everyone who has people around them who are suffering....everyone who longs for real, true happiness in their lives and in the lives of others!!! Well, I am getting there! It's so close! I learned so much! I met so many fantastic people! Remember a few weeks ago...when I was chanting hours and hours a day to rid my life of a recurring sadness? I chanted to free myself FOREVER from these feelings of longing, otherwise known as the world of hunger. I began focusing on the books I want to write. I chanted with the deepest vow within my own life for the wisdom to know what to do next. In the middle of a long Daimoku Tozo (chanting session) suddenly I had the thought "Google 'agents looking for transformational authors!'" I did just that, and found out about the Conference in New York City. It featured a "Pitch Slam". It was an opportunity to get in front of numerous agents looking for new writers. I decided to go for it. I booked the flights and the hotel and the conference in a real leap of faith. And it was one of the best things I've ever done. I feel so close...this close... to actually being able to reach millions through my writing about this practice. I chanted to be in the right place at the right time....to meet exactly the right people who could see the vision in the work I want to do...and to encounter people who could share my passion and help bring my works to life. I chanted for my future readers...for the lives of those I want to touch, and for you, my blog readers who will buy this book for yourselves and for the people you love. All of my prayers unfolded before my eyes. I met incredible people, and I'm taking the next steps to a finished book. I even found a cool title for it. What do you think? It may change, but I'm happy with it for right now. What do you think? Would you buy it for yourself? Would you buy it for your friends? Stay tuned. This is a huge dream for me. This is making the impossible possible. That's why we chant isn't it? First we become happy...then we shoot for the impossible! In the last of the speeches today, the speaker talked about all the people waiting for our books. I sat there thinking about the person who has no hope, the person who is bullied at school, the person who can't stand up for themselves, and I thought "NOW is the time!" Move swiftly in the direction of your dreams! No good cause is ever wasted! Planted seeds are sprouting! If you could only imagine how happy this makes me!!! I've known Nikki since I FIRST began chanting. The first time she heard me chanting was when I lived in a tiny apartment on Bush street in San Francisco. She had been recently adopted by my new and lifelong friend Joan. I chanted for her from the very beginning. In fact, I distinctly remember having her over when she was five and chanting that the seed of Buddhism would sprout in her life. Through her hardest years I chanted for her soooo much, and maybe one time I'll share the story of how her mother and I, and then her mother and her, chanted together and reset the course of her life. It only took 5 minutes to cause a great impact. Just by telling them, you have made a profound cause! A year and a half ago two dear friends I've known for more than 20 years embraced this practice wholeheartedly! After 20 years!!! What a great life I lead!! !What a great life you lead! Nam Myoho Renge Kyo, Nam Myoho Renge Kyo, Nam Myoho Renge Kyo!!!! And Nikki! You go girl! When you're ready, I can help introduce you to Buddhists in your neighborhood...you have a new family waiting to meet you, right around the corner!!! Thanks so much for responding to my comment/freakout with such an understanding and wise heart. I know that I can be/am happy without this man's love - because this practice is teaching me to love myself! Isn't that beautiful! It is YOU my readers who have such open and warm hearts! Thank you so much for letting me and this practice of chanting Nam Myoho Renge Kyo encourage you! YES you can use every challenge to become happier! As the Gosho quote says: "Nam Myoho Renge Kyo will be useless in the hands of a coward!" It takes guts to chant! It takes guts to determine to rise above your own familiar unhappiness! It takes GUTS to dig into your karma by chanting...uncover what might not feel so good some of the time...and move forward, more determined than ever to create value and happiness in your life and in the lives of many others. THIS is the life of the Boddhisatva! This is the life you choose if you chant these words every day. And I can tell you from personal experience that the happiness that comes from chanting these words makes it all worth it. I've been hearing recently from a dear friend I've known since she was 5 years old. She emailed me to say she was reading my blog, and remembers hearing me chant when she was so young. I chanted a lot of daimoku for this young girl...and she faced many karmic challenges in her life, and was never able to embrace this practice. She writes me now to tell me she is reading this blog every day and chanting 15 minutes every day! I am so thrilled!!! She will be able to tap into the universe of wonder that lies within her and create the life of her dreams...as long as she can courageously move forwards! And I know she can!!! First of all, I want you to know that I know just how you feel. I KNOW what if feels like - when you have such an intense longing to be with someone...it feels as if your heart is walking outside of your body in someone else's body, and that there is no hope for you until that person's heart returns to your own. Please believe me, with every fiber of my being, when I say I know just how you feel. You write to tell me "I've been chanting for him to come back into my life...why hasn't it happened?" and I think "I know...oh how I know...I know." And I can tell you to USE THIS PAIN to GROW YOUR LIFE. I mean, what else can you do really? If he is not coming back to you today....you MUST use this feeling to create value. You are a Buddha!!! Chant harder than ever to become happy, and to raise your life condition...and change your karma. Make this vow in your life. Chant with this vow in your mind. Always remember you are not imploring some outside force to help you....you are connecting to the power inside your life with your vow. Remember that there are two kinds of benefits...the first is the kind you can see at this moment...conspicuous benefit. The second is very deep....it forms at the core of your life and grows and grown until one day you realize that a fundamental suffering is gone, gone, gone, and a deeper level of happiness has taken its place. You can use the suffering you are now feeling like logs on the fire to FUEL your growth....FUEL your happiness. One day, I promise you, you will be grateful for this pain, because your chanting will have a huge impact in your life in ways you probably can't see now. Realize that this longing is the experiencing of living in the world of hunger...wanting...craving. And you, with the power of this practice, can elevate your life condition PERMANENTLY so you no longer experience a life of craving. I understand. And I chant to raise my life condition. And I have many moments of serenity and happiness, and much fewer moments of the intense kind of longing you write me about. If I can elevate my life condition you can too! It starts with your determination and vow to be happy. It is something you have to BUILD for yourself, within your OWN LIFE. Today I chanted more than four hours to feel the kind of happiness that I can't even imagine...to somehow blow my life open in ways I can't imagine right now...and to fuser my prayer with Daisaku Ikeda's vow for the happiness of all people. I chant my prayer to reach suffering people everywhere and let them know there is another way. There is another way. Just chant...start there....chant and chant and chant and you will see! WOW! Life Changes quickly, doesn't it! I have a huge new challenge and opportunity. I found out some news about my job on Monday that might have devastated a person who doesn't chant! It might have been a real blow to me except I have chanted sooo much Daimoku that I just know this is a benefit somehow. I'm now going to interview for a different position at the same company AND take a real leap of faith in another area. I have been reading and rereading an experience from a recent world tribune. In this expreience, the musician is chanting and struggling and calls up the agent of a huge club and says he wants to perform for the club. This is a huge leap of faith for him...and through each stage of his experience he chants to open his life more and more in front of the Gohonzon and to deepen the mentor disciple relationship so he can further the cause of Kosen Rufu. He gets the gig...finds the other performers...records the show using his credit card blank checks and the whole thing goes golden. Thirteen CDs later he has been having the career of his dreams and living out his goal of showing actual proof of this practice. Well, I decided to take a similar leap. Last week I was focusing my chanting once more on writing and publishing books that will reach many people to tell them about this wonderful practice. There are so many books and ebooks I want to write...and speeches I look forward to making and shows I want to be interviewed on and conferences I'd love to be invited to...oh the list goes on...all for Kosen Rufu and to help people be HAPPY! While chanting, I was inspired to google "Agents looking for transformational authors" and I found out about a conference next week in New York city where writers will be able to pitch their book ideas to 60 agents during a three hour period...and after the changes at my workplace occurred I decided "The Time is Now~!!!!" And I'm going to New York!!!! I will be chanting and preparing and bolstering my confidence in every way between now and then. I am certain that the time for Kosen Rufu is NOW...and that people are ready to hear about this great practice. My goal is to connect people to the Soka Gakkai and President Ikeda and help them to achieve their happiness...just as I and so many of you wonderful readers, and members all over the world are realizing theirs...and help others to become happy...and FIRE UP Kosen Rufu! Woohoo!!! And my word for you today is STUDY!!!! Read the World Tribune, or your local SGI paper....absorb President Ikeda's words with your life. Read the Gosho with your life. Feel as if Nichiren Daishonin is addressing each letter to YOU personally...because he is! Study....open your life more and more and more and chant chant chant chant!!!!! A LOT of Daimoku sure pays off! Creating FORTUNE in your life! If there's one thing you learn from me it's this: JUST CHANT!!! to have a cold that kept me at home so I could chant chant chant chant. I chanted many hours last week, and this week...3 hours Monday, and 4 1/2 on Wednesday and I am really feeling the happiness I was chanting for. As you know, it is my determination to be happy from within, to be happy based on my own strong life force, not on outside circumstances. As you may also know (if you've been reading this blog for awhile) I have some fundamental darkness that I am in the process of overcoming...that sometimes causes me great pain. Well, getting sick and being unhappy creates a great opportunity to chant chant chant chant!!!! So today I went back to work and had a wonderful day...then I stopped at a store on the way home and got great deals on fun clothes and feel really thin. What I'm really talking about here is fortune. Not luck. The fortune that you build from BEING Nam Myoho Renge Kyo and manifesting it in your life! It comes from chanting, making good causes, studying and CHANTING!!!! I know I said it twice! I really mean it! When you are in rhythm with the universe the things you need and desire just come to you...you barely have to work for them. Sure, chanting can be work, but it's soooo worth it when it makes the rest of your life go so much easier! If you haven't poured a ton of daimoku into your life recently I suggest you give it a try! It's easy to chant a lot when you are suffering about something...that really does fuel those prayers!!! And WOW, I enjoy reaping the benefits, and I find that the more I chant, the easier it is to chant...and the more I want to chant MORE! I've got momentum! And you can too!!! Just go for it! Wooooooooohooooooo!!!! As many of you know, the Gosho are the letters that Nichiren Daishonin wrote to his followers encouraging them. Each one of these contains gems of wisdom that you can use to navigate through life. "Your faith alone will determine all these things. A sword will be useless in the hands of a coward." When you chant the mystic law and recite the Lotus Sutra, you must summon up deep conviction that Myoho Renge Kyo is your life itself. Above quotes are from the Gosho "On Attaining Buddhahood"
"One who hears even a sentence or phrase of the Lotus Sutra and cherishes it deep in his heart may be likened to a ship which navigates the sea of suffering. The Great Teacher Miao-lo stated, Even a single phrase cherished deep in one's heart will without fail help him reach the opposite shore. To ponder one phrase and practice it is to exercise navigation..."
From "A Ship to Cross the Sea of Suffering"
I finished three hours of Daimoku today, and feel as if I could go on chanting for a week....there is so much yet to uncover and change and grow and expand in my life....for the sake of my readers and for the sake of my family...district...students...everyone! But I wanted to take a moment to talk about determinations. Determinations are NOT resolutions...they are NOT plaintive requests for something outside of yourself to deliver some "blessing" to you. Determinations are a VOW...a ROAR of the lion within you! A Roar for your life to respond to! Who are you making the determination to? YOURSELF!!! YOUR LIFE!!! ALL OF LIFE!!! Then you chant...chant...chant to MAKE IT HAPPEN!!!! And I make these determinations because I know my life...and every life...is paving the way for the rest of humanity to be happy and to achieve these goals. We are all interconnected in the web of life...when I raise my life condition it is a CAUSE for all of humanity's life condition to raise! Likewise, I am determined to praise my life with the internal dialogue inside my head. I am determined to live each moment in gratitude for my health, my happiness, my family, my fellow members and blog readers, and all those who love me. I am determined to inspire millions of people through my blog and the books I write and the talks I want to give on Buddhism. I am determined to publish at least one book this year! I am determined that I will live my life in a way that inspires every single person I meet to try this incredible practice for themselves! These are my vows. These are determinations! Whenever you have a problem with anyone...anyone at all...the best and only way to solve the problem is to chant for their happiness! Picture them with a great big smile on their face and chant sincerely for their happiness. Even if you don't feel sincerity at first, THAT WILL CHANGE...just keep chanting. Soon you will absolutely change the situation. I guarantee this. It always works! How about making a major change in one of your relationships by chanting for their happiness starting RIGHT NOW!!!! That's a great determination!!!! Oh My Dear Friends! Happy New Year! We are here! New Year's Day! The day most practicing SGI members look forward to with great anticipation...the day we all meet at the Chicago Buddhist Center (and Centers all over the world) in huge numbers to welcome in the new year, make fresh determinations, and greet the New Year with the spirit of Hon Nim Myo ~ from this moment forth! Today is an extra special day for me because the entire Ali family, will be getting their Gohonzon today! Shazara Ali is only 16 years old. Only 16 years old. She has accomplished so much in the last six months through chanting...through tapping into the life force within herself by chanting Nam Myoho Renge Kyo! She has discovered and accessed the key to real and true happiness. She first found Buddhism on a dark night of the soul. She was in despair about a relationship and left her home walking alone. The Ali's are of Indian descent who immigrated here from the beautiful island of Trinidad. Shazara was not in the habit of leaving her home alone, and her family was worried. I live in a beautiful apartment community and have a patio facing the pond on the ground floor. It's a peaceful and idyllic setting. It was a warm, beautiful night. All the members of my district had just chanted a rousing hour of daimoku...and had JUST left...the rhythm and energy of daimoku was still in the air, and I hadn't even put away the chairs! Shazara knocked on my door from the patio and asked for a glass of water. "I kind of ran away." she said. I thought "Wow, she's a runaway with great fortune to have wound up at MY door where I can tell her the secret of creating her own happiness! From now on she will know the key to happiness for herself and others!" I was impressed by how beautiful and well dressed she was...for a runaway! I invited her in, gave her water and a Nam Myoho Renge Kyo card. She told me a little bit about her circumstances and she said sure she'd love to try chanting. We sat down and began chanting and she didn't want to stop! She could feel the power of the prayer. I stopped for a second and she said "let's chant some more I already feel so much better!" And after that I drove her home to her family. When we got to her house the police were there and family and friends were there waiting to hear word of her whereabouts. She left my car in high spirits, and her Mom got in my car with tears in her eyes and said "You are my angel" to me. I told her "The worst day of your life has now turned into the best day of your life...your daughter has discovered chanting Nam Myoho Renge Kyo and she will never be unhappy like this again. From now on she has the key to her own happiness." Two days later Shazara and her Mom came back to my house to chant. Later that week all three of them, Mom, Dad and Shazara came back to my weekly Buddhist meeting and have been chanting together and learning gongyo ever since. They love their new Buddhist family! Shazara HAS solved her problems! She is no longer bullied...which is MAJOR!!!! I wish EVERY teenager and child could chant and change this in their lives! She auditioned for a singing scholarship and got it. She chants for grades and tests...she uses this practice for everything. And the family says that from the minute they started chanting they felt hope and happiness and the sunshine of the mystic law enter their lives. Today they are making the cause of receiving their Gohonzon. What a profound cause for their happiness!!! Receiving a Gohonzon is profound. It is the scroll, inscribed by Nichiren Daishonin depicting the highest life condition. It is a reflection of the brilliant and powerful life inside each person waiting to be tapped by chanting Nam Myoho Renge Kyo- the name of the rhythm of life itself. When you have a Gohonzon set up in an altar in your home....you have a "HOME" inside your home. You have a place where you can draw forth your truest self day after day after day. To receive the Gohonzon you do not have to make a vow or sign a paper that you are converting to Buddhism. You DO make a vow to protect the Gohonzon, and if you're smart, you have an inner resolve to chant every day twice a day to bring forth your own Buddha nature, realize all your goals and make your family, and the world the happiest place on earth! How wonderful! What a great way to begin the New Year! I hope you have a fabulous day thinking about what you want to create in your life this year. Make fresh determinations. Resolutions and determinations are different. A resolution defines a particular action. A DETERMINATION is a deep resolve to change an aspect of your karma through chanting Nam Myoho Renge Kyo! I will write more about this in a later post!